* Due to World Book Night on April 23rd, this month's book group will deviate from the norm! We will slide one week later and meet on Tuesday, April 30th at 7pm. We typically meet on the 4th Tuesday of the month and welcome new members. Join us! Elizabeth Jolley (1923-2007) is one of Australia’s most celebrated writers, with a formidable international reputation, and during the 1980s and 1990s was widely acclaimed with a wide readership in the U. S. Born in England in 1923, she was brought up in a strict, German-speaking household and attended a Quaker boarding school. She became a nurse, married, and with three children moved to Western Australia in 1959. Although she wrote all her life, it was not until she was in her fifties that her books started to receive the recognition they deserved. Her work won every major award in Australia, and was several times selected as a New York Times Notable Book. Monica Elizabeth Knight was born in Birmingham, England, to an English father and Austrian-born mother. She was educated privately at home until age 11, when she attended the Sibford School, a Quaker boarding school in Oxfordshire. She trained as a nurse during World War II. She married Leonard Jolley, with whom she had three children. In 1959, the family emigrated to Australia for her husband's job as chief librarian at the Reid Library at the University of Western Australia. As Elizabeth Jolley, she won the State of Victoria competition for short stories in 1966, and some of her stories were accepted by the BBC World Service and Australian journals; but she did not publish her first novel, Five Acre Virgin (1976) until she was 53 years old. 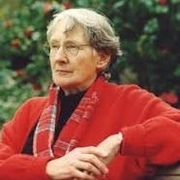 She became one of Australia's most celebrated writers, with later works including the novels Miss Peabody’s Inheritance (1979), The Newspaper of Claremont (1981), and The Well (1986) which won the Miles Franklin Award. She also wrote nonfiction and the semi-autobiographical trilogy My Father’s Moon (1989), Cabin Fever (1990), and The Georges’ Wife (1993). Elizabeth Jolley lectured in creative writing at the Curtin University in Perth from 1978 to 1988. The Melbourne Writers Festival established the Elizabeth Jolley Lecture in her honor. Elizabeth Jolley is currently considered a "single author." If one or more works are by a distinct, homonymous authors, go ahead and split the author. Elizabeth Jolley is composed of 3 names. You can examine and separate out names.